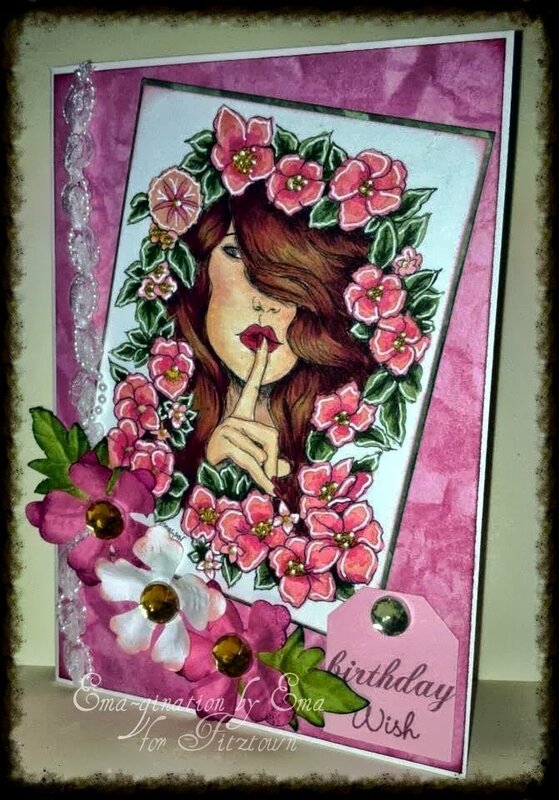 I actually made this card for my friend, Maria. It was her birthday recently and she turned 29. ;) I know her real age and I'm sure she wants me to keep it a secret! Ha! The image made me think of this! This is one of Morgan Fitzsimons' images at Fitztown. I used Fae 17 from the Fae Collection. So the image is new not only in that I've not ever used it before but it's from Morgan's latest release! How lucky could I get? I colored the image with my Copic markers. Then as I wrote earlier, everything else is from my stash. I'd hoarded those flowers for the longest time because I thought they were just too pretty and couldn't make myself use them! I finally did and I think they look great with the image! Oh, that lacey ribbon with pearls is also new. I purchased that recently from Hobby Lobby's fabric department! I thought it was way pretty and found myself thinking I just Had. To. Have. It! 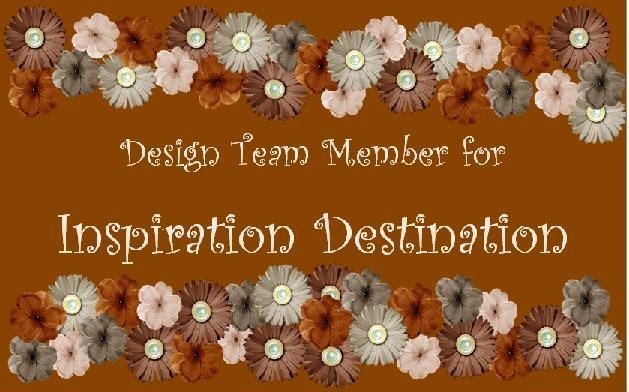 I am a follower of these blogs and I display the badges here. Fitztown is also giving away a gorgeous Morgan Fitzsimons' fairy image from her Fae Collection. You can read all the details here. so beautifully colored Ema, gorgeous work! I'll be featuring you this week @ Inspire Me Fridays, thank you so much for linking up!